Attending experts in; Bird song identification, plant biology, forestry, soil ecology, Owls, Entomology, Marbled Murrelets. 9.30am; Meet for car pooling and convoy if required at Port Renfrew Community Center. There are travel cost subsidies available to make access to the ancient forest more affordable. Contact FoCW for more info. 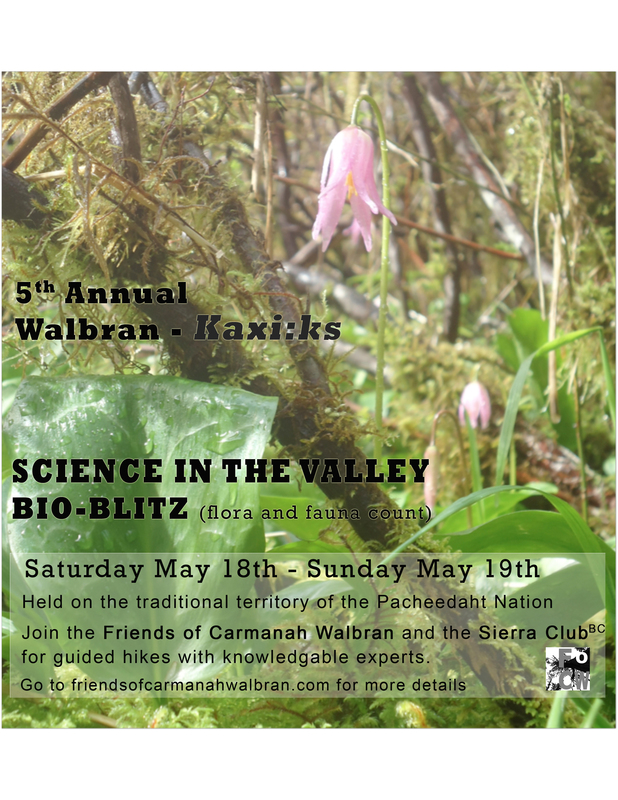 11am -1pm; Arrive in Central Walbran. 5am; Bird and Marbled Murrelet identification hike starting on Walbran bridge.